Although Georgetown, Penang, Malaysia has been declared as a UNESCO World Culture Heritage Site since July 2008, certainly, not all heritage sites are covered under this protection. 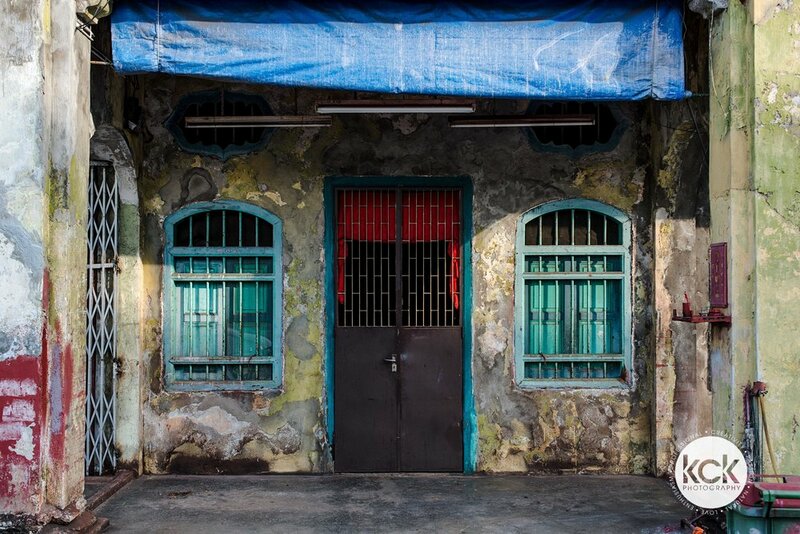 This series presents the remaining pre-war heritage shophouses, which are not covered by the UNESCO World Heritage Site, before they torn down or refurnish. Unfortunately, foreigner investors have started to acquire this heritage shophouses and refurnish it for commercial purposes. The architecture and design of some of these shophouses has been altered and I believe, there will be more to undergo this unfortunate process in the near future. In the late 18th Century, Georgetown city has gone through tremendous transformations over the last two centuries; it survived from a swampy frontier, to a bustling trading post and finally the present city of living history. Fortunately on 7th July 2008, Georgetown has declared as a UNESCO World Culture Heritage Site.